The sensational amount of 190.600 € for UNICEF was obtained on 5th November 2002 also thanks to the charming auctioneer Julia Theurkauf, the two donations from South Korea and Austria included, when 46 "United Buddy Bears" were sold at the "Museum für Kommunikation" in Berlin. 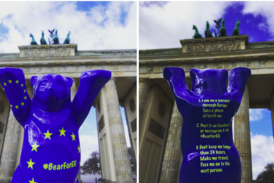 The bear sculptures had been exhibited right next to Brandenburg Gate for nearly six months - as a symbol of Berlin’s cosmopolitan attitude and its tolerance. The proceeds of the auction are in aid of UNICEF-first-aid-projects in Southern Africa. "This top result of the auction has made clear: the Buddy Bears are not only exceptionally beautiful but also exceptionally valuable ambassadors for children throughout the world. I am glad that this money contributes to UNICEF’s opportunity to help in Southern Africa", explains UNICEF Ambassador Sabine Christiansen, patroness to the event. In Southern Africa, more than 4 million orphans suffer from hunger and exploitation, without any kind of protection. Drought, aids, extreme poverty and political mismanagement have disastrous effects on vast parts of the population. UNICEF has therefore initiated an extensive first aid project. The initiators of the "United Buddy Bears", Eva and Dr. Klaus Herlitz, were also pleased about the positive result of the auction and they’d like to thank all contributors for their generous commitment in aid of UNICEF. Many of the "United Buddy Bears" wandered out into the world. Thus the Russian Buddy Bear found its new position in front of the "Berlin-Haus" in Moscow, the Vietnamese bear stands in front of the German Embassy in Hanoi, the Korean bear travelled as far as Seoul. Other bears moved to the Seychelles, to Bosnia, Moldavia, Austria or Sweden. Again others found a new home at their respective embassies in Berlin, for example the bears for Australia, Nepal, Kazakhstan, El Salvador, Macedonia, Mongolia, the Philippines. A big thank you to the auction buyers. Thank you very much to all the partners of this auction, the auctioneer, Julia Theurkauf, the chairwoman of "Initiative Toleranz e.V. 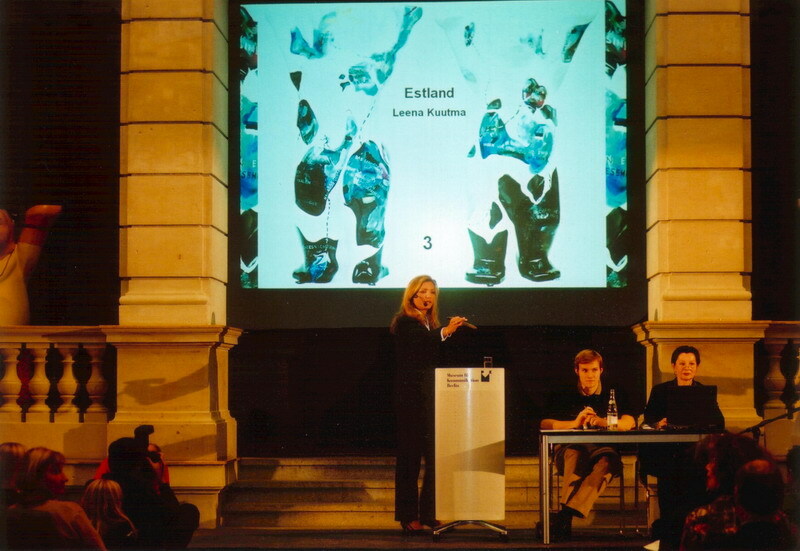 ", Mrs. Maren Kresse, the law firm Severin Rechtsanwälte, the "Museum für Kommunikation", Berlin, the "Berlin International School", private Kant-Schule Berlin, Mr. Rudolf Weinsheimer, the Internet company New Channels GmbH, the "Berliner Stadtreinigungsbetriebe" and all participating artists.